Van or Lorry between 3500kg - 7500kg and trailer. The new style licence will look different to the current licence. All vehicle categories will be listed on the back of your licence with dates against those you are entitled to drive or ride. You won’t be entitled to drive any category of vehicle that has lines instead of dates. 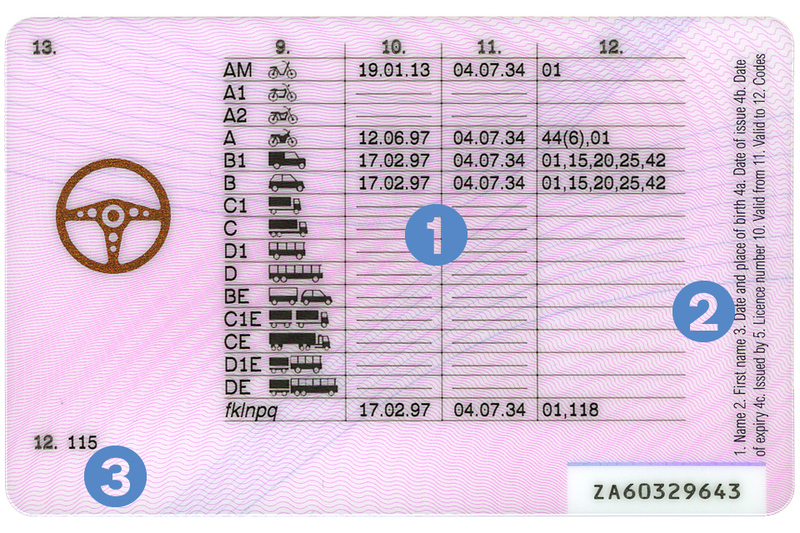 However, if you have passed a test in a larger vehicle you may still be entitled to drive or ride smaller vehicles of that type which have lines shown instead of dates, eg holders of full category A would be entitled to ride a category A2 vehicle. Once you’ve been issued with a 5 year licence you’ll need to renew the licence when it expires - the licence expiry date is shown in 4b. 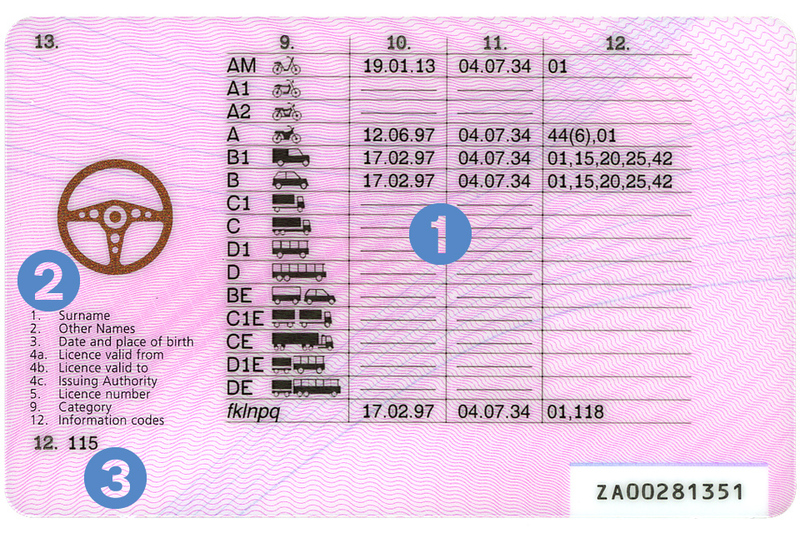 To renew the licence and to renew your lorry and/or bus entitlement you’ll need to fill in the application and medical questions on an ‘Application for a lorry, bus or minibus driving licence’ (D2) or the renewal reminder form which we send you. 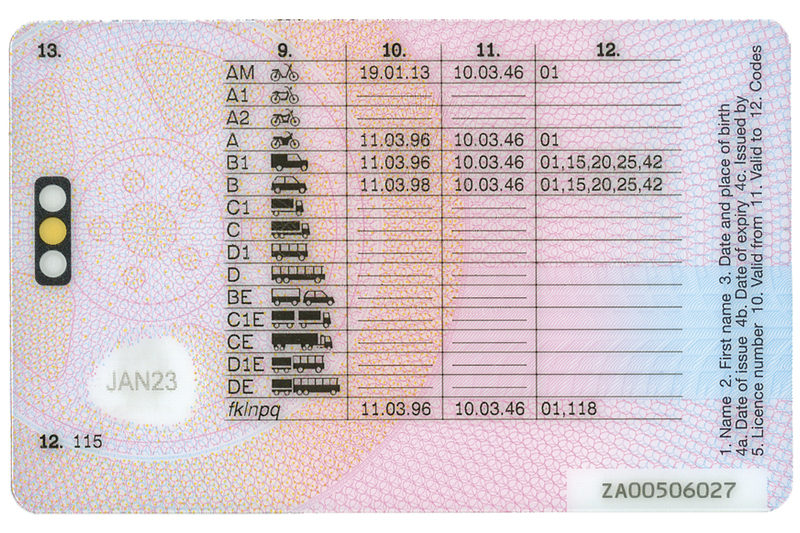 If you’ve already passed a driving test in one of the above categories, the new rules will apply when you next renew your driving licence or when you renew your lorry and/or bus entitlement, whichever is earlier. There are different minimum age restrictions and power outputs for the different categories. If you are an existing tricycle rider you won’t lose the entitlement you currently hold. There are varied minimum age restrictions and power outputs for the different categories. If you are an existing tricycle rider with a full licence, you won’t lose the entitlement you currently hold. For information on C category vehicles see ‘Further information’ section below.